Born in Ottawa, raised across the river in the modest town of Aylmer, Quebec, Nelson is a true “country boy”. 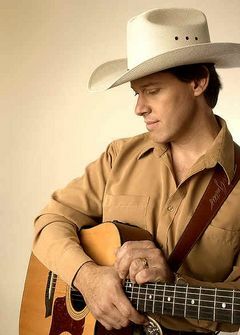 Nelson put together a major tribute show to his absolute influence and king of country music George Strait! Now the lead singer and lead guitarist of this exciting new show named “PURE STRAIT COUNTRY “, Nelson brings the style, the smile and the sounds of country music legend George Strait to you! Strait is well known for his unique style of western swing music, barroom ballads, honky-tonk style, and fresh yet traditional country western music and has won CMA Entertainer of the year in 1989 and 1990, ACM Entertainer of the year in 1990. A member of the Country Music Hall of Fame, Strait has been nominated for more CMA awards than any other artist. He holds the record for most Number 1 songs on Billboard Country Music charts and has had 12 multi platinum, 22 platinum and 4 gold hit albums! Nelson gladly and affectionately performs some of George’s greatest hits like “Write This Down”, “One Night at a Time” and “Carrying Your Love with Me” with pin point accuracy.